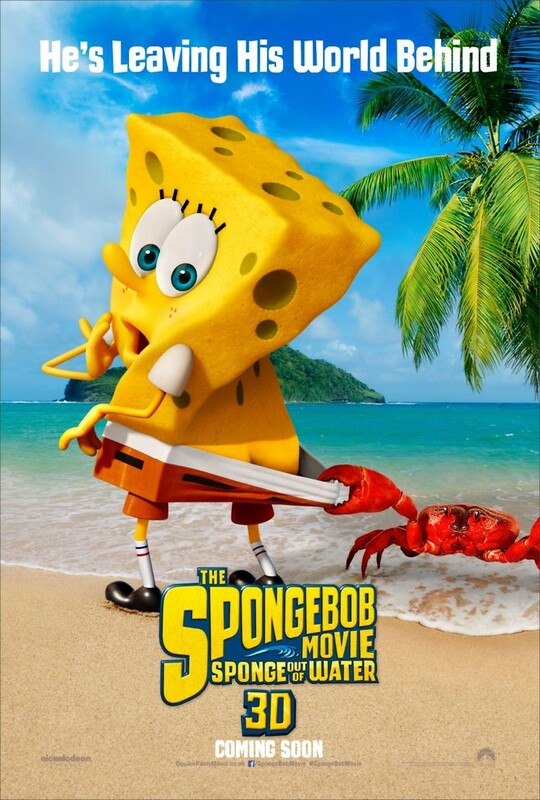 SpongeBob SquarePants 2 Sponge Out of Water DVD and Blu-ray release date was set for June 2, 2015. A nefarious pirate has a book that will fulfill his every wish. He only needs to write in the book to get anything he wants, but he needs one more page for the book. It's a recipe that will bring the book to life. The recipe exists deep in the ocean and is guarded by SpongeBob. The pirate attacks Bikini Bottom and steals the recipe. SpongeBob SquarePants must now leave his home and go on a quest to retrieve the recipe before the pirate can write an evil plan into the book and destroy the world. The quest for the recipe will take him out of the ocean and into our world.